A new village hall which was built with the help of a variety of grants. The design is the result of close collaboration between the architect and villagers. It provides a new modern space for village activities and sports clubs, including the cricket club along with a community owned shop and café to give much needed facilities for the Westbury community. A canal side development built on the site of an historic wharf. The character of the original wharf has been retained by keeping historic structures; the original crane and the restored Carpenters Warehouse; together with public space close to the canal. 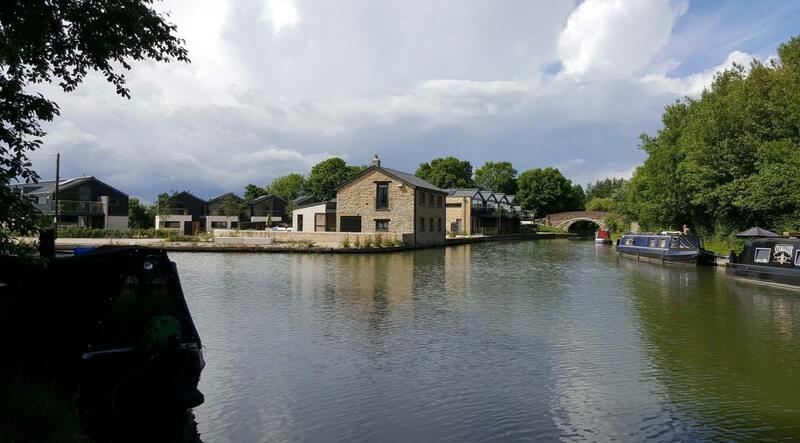 The new homes reference traditional canal side structures and the local vernacular, but use modern materials to create a contemporary residential environment. 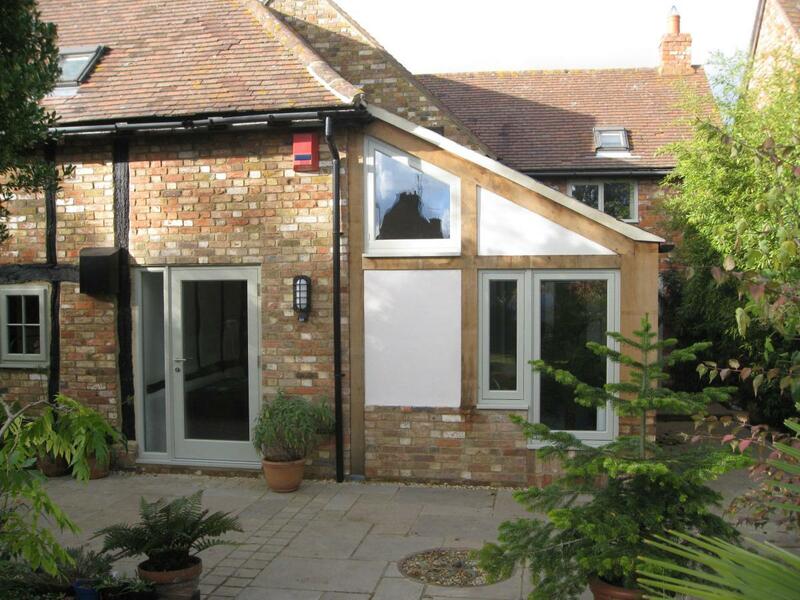 Redevelopment of a former farmyard incorporating the renovation and conversion of four dilapidated barns and together with five new homes. 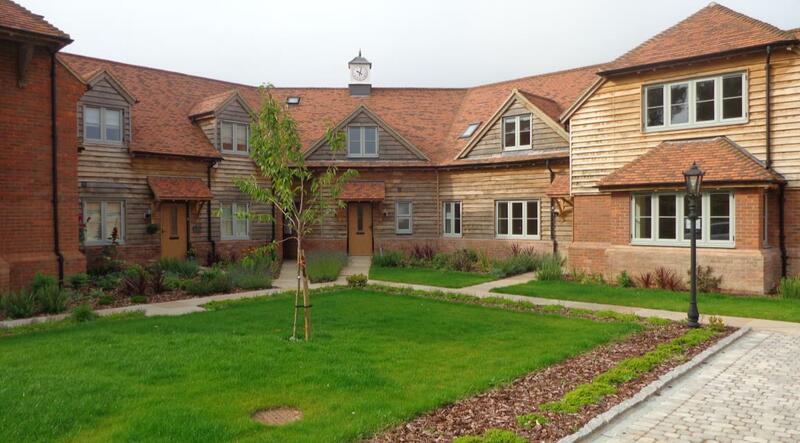 The new buildings were designed to replicate the form and character of traditional barns arranged around a farmyard and the conversions were based on the existing forms of the old barns. 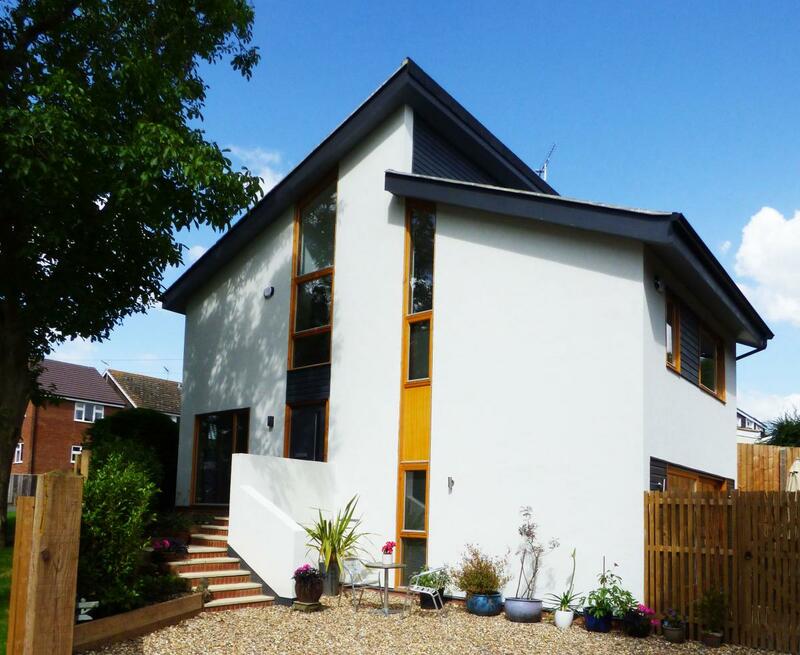 A two storey house on a small sloping site, designed to provide a low energy affordable home. It has rainwater harvesting, an air source heat pump, solar thermal panels and a high level of insulation. The split level design makes use of the changes in site level, enhances its setting and creates a spacious and interesting interior. A modern family home, traditional in form with carefully considered detailing, designed to maximize the opportunities offered by its site. 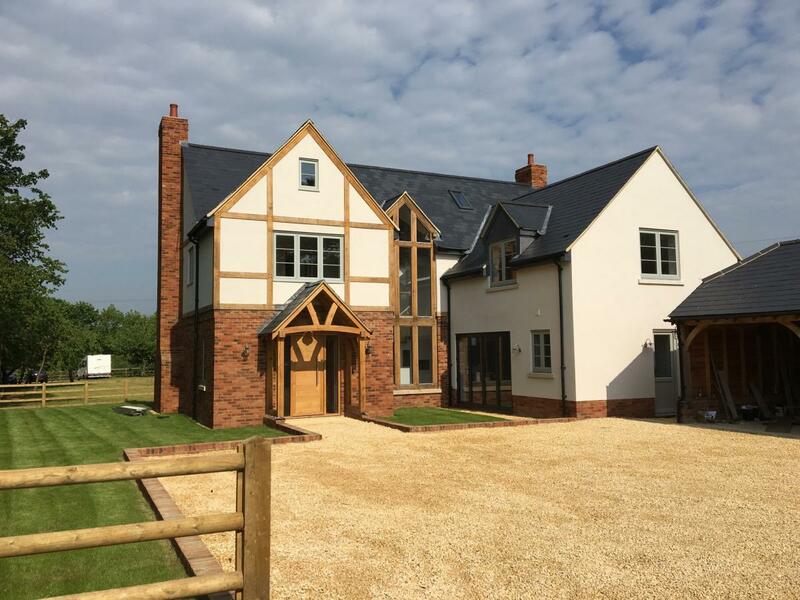 The simple materials used, oak, brick and render give an attractive and characterful building that is complete with seven gables. A modest modern extension that its references its design back to the grade II listed 17th century agricultural building it is attached to. The new space is well connected to the outside with a floor recess for internal greenery in front of irregular mullioned windows which frame the view of the garden. Bespoke built-in furniture combines display and storage makes good use of the internal space. A new pavilion to offer welcome, orientation and transport connections to the growing number of visitors to Waddesdon Manor. 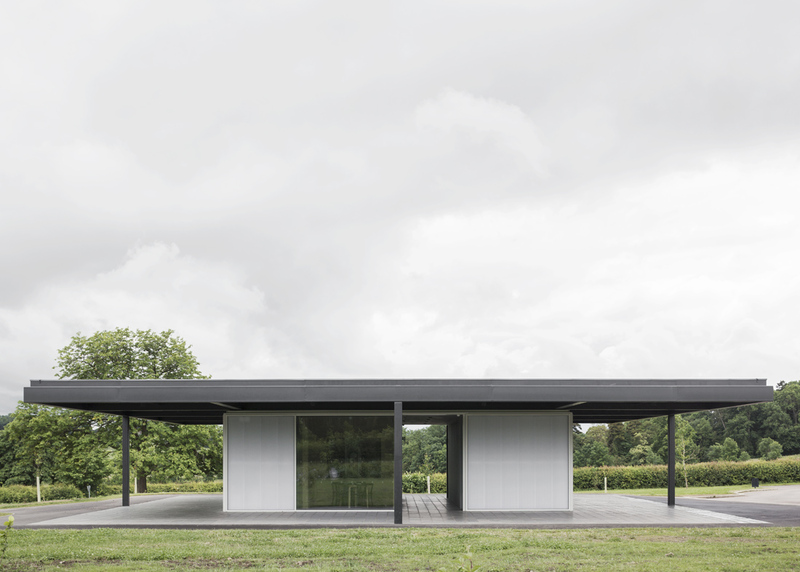 It provides a landmark shelter in the park landscape under its large cantilevered steel canopy. White frosted glass and polycarbonate rooms below contain visitor facilities.